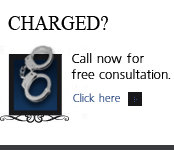 Colorado DUID Cases – Driving Under the Influence of Drugs -cases are now charged much more often than in the last 30 years of my practice. Many DA’s and police departments are coordinating training to assist their officers to “spot” so called “drugged drivers” and to arrest and prosecute these cases in greater and greater numbers. Here is the problem – as of 2012 -there are many many flaws in the training and the prosecution of these cases. With an aging population -people are living longer than in previous generations and the medical needs have increased. This population and other populations have also increased the use of medications for anxiety, ADHD, depression and insomnia. Arrests for DUID in Colorado are not just limited to prescribed medications; they can occur as a result of the use of over-the-counter medications for colds, coughs and allergies or the combination of a prescription medication and an over-the-counter medication may be alleged to cause driving impairment. The rub is this – without thorough education on the impact of the consumption of these drugs – driving on these medications has lead to this massive increase in DUI-drug arrests. A 2009 AAA Study revealed that 78% of 55 and older drivers surveyed are taking more than one Rx medication and only 28% knew the impact the drugs could have on their ability to drive. Colorado Police have a great amount of legal discretion as they decide whether to make an arrest for drugged or impaired driving by a combination of alcohol and drugs. The training today for the average police officer in detecting – let alone assessing the impact of the use of prescription drugs is poor .. And the research – especially when it comes to marijuana driving ( LINK) is worse. Police will make assumptions or conclusions based upon their field experience or their opinion, which in many – if not most cases are wrong. There have been few if any scientific studies quantifying any illegal or legal drug use with driving impairment. The FST’s – standardized roadside field sobriety tests – developed by the National Highway Traffic Safety Administration (NHTSA) were not designed to detect drug impairment and only a very small percentage of police officers that have the necessary training in the detection of whether or not someone is under the influence of an illegal or illegal drug that has impaired their ability to drive. When compared to decades of research on the impact of alcohol on the body – DUID or DUI-drugged driving has little more than the “call” for more research. There has been practically no useful research on the quantitative amount of any drug or substance that creates a known level of impairment. Since this is the case mounting an aggressive defense in these cases is possible. Even if a blood test results in certain levels of prescription medications in the person’s system, a crime lab expert witness or even a state toxicologist may not be able to state – based on the present science – that THIS INDIVIDUAL – has a level of said medication that has left them impaired. Many taking prescription drugs have built up a tolerance to those drugs. Until more studies are conducted, this is a very confused area of the law which of course can be used to the accused’s full advantage in court. 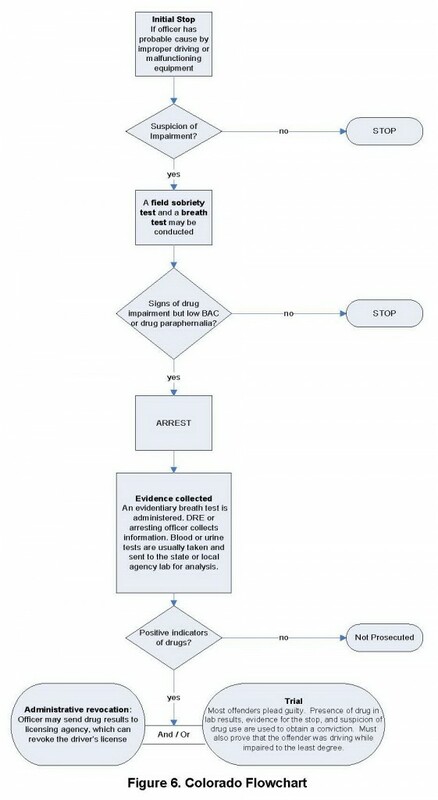 “Drug-impaired driving is a complex problem due to the large number of substances with the potential to impair driving and increase crash risk, the variations in the ways different drugs can impair driving, the lack of basic information about many potentially impairing drugs, and the differences in the ways that drugs can affect the body and behavior. “Since the effects of alcohol on driving performance are relatively well understood, it is useful to review and contrast what is known about alcohol with what is known and not known about other drugs. Ethyl alcohol is a simple molecule that is readily and fairly rapidly absorbed into the body, typically through the stomach and large intestine. Alcohol passes easily through the blood-brain barrier. It is distributed by the circulatory system throughout the body and is metabolized primarily in the liver. So What Exactly Is Colorado DUID Drugged Driving? 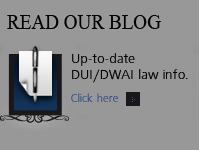 As noted above – however – drugged driving laws have lagged behind alcohol-related driving legislation, because of limitations in the current technology for determining drug levels and resulting impairment. Alcohol – For alcohol, detection of its blood concentration (BAC) is as follows – concentrations greater than 0.05 percent have been shown to impair driving performance; and at higher levels, 0.08 percent, all 50 states recognize this as the legal limit. But for illicit drugs, there is no agreed-upon limit for which impairment has been reliably demonstrated. In addition assessing present “stop based” drug levels is very difficult, since some drugs linger in the body for a period of days or weeks or even months after ingestion. Some States (Arizona, Delaware, Georgia, Indiana, Illinois, Iowa, Michigan, Minnesota, Nevada, North Carolina, Ohio, Pennsylvania, Rhode Island, South Dakota, Utah, Virginia, and Wisconsin) but NOT COLORADO have passed “per se” laws, in which it is illegal to operate a motor vehicle if there is any detectable level of a prohibited drug, or its metabolites, in the driver’s blood. Since the behavioral effects of other drugs are not well understood as the behavioral effects of alcohol only generalizations can be made such as high doses generally have a larger effect than small doses; well-learned tasks are less affected than novel tasks; and certain variables, such as prior exposure to a drug, can either reduce or accentuate expected effects, depending on circumstances. Furthermore, most psychoactive drugs are chemically complex molecules whose absorption, action, and elimination from the body are very difficult to predict. And, as noted above – there are considerable differences between individuals with regard to the rates with which these processes occur. â€¢ Acute versus chronic administration (it is not unusual to observe much larger impairment during initial administrations of drugs than is observed when the drug is administered over a long period of time). The result of these factors is that, at the current time, specific drug concentration levels cannot be reliably equated with effects on driver performance. The typical DUID case begins with a stop based on some form of probable cause such as a traffic infraction or evidence of driving associated with impaired driving such as wide turns or swerving. Once a stop is made, the officer then determines whether the driver is impaired. The normal DUI-alcohol investigation proceeds from that point. If alcohol or drug impairment is suspected, the officer gets the driver out of the vehicle and attempts to perform the roadside sobriety test SFST. Some also use a preliminary breath test in the field, others do not it is used to attempt to “rule out” alcohol. The drug investigation does not start unless and until impairment is evident to the officer and there is no indication of alcohol. 44 States and the District of Columbia have implemented Drug Evaluation and Classification Programs, designed to train police officers as Drug Recognition Experts. This assessment tool – while attack able is more thorough – Here – specific police officers are trained – based on the science that exists today -to detect characteristics in a person’s behavior and appearance that may be associated with drug intoxication. IF there is a DRE trained officer available at that point, the officer may call for a DRE, but that is dependent on the availability of DREs in the jurisdiction as well as the level of comfort the individual officer may have in pursuing a DUID case on his or her own. Many officers suspect drugs but do not have the training and are not be comfortable with pursuing the DUID investigation. In the Denver area, there are only a few trained DRE officers, and many officers feel the wait time is too long for a DRE. In some jurisdictions officers who are not comfortable with the DUID process patrol officers trained to process DUID cases, as well as specialized officers who may take those cases over from street officers… all are weak on the witness stand in this area of testimony. On a final and more serious note – to parents – we must admit that teens are the least experienced drivers as a group and have the highest risk of being involved in an accident compared with more experienced drivers. 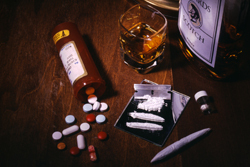 If you add in “pharming parties” ( pharming parties -also called pharm parties – is a term describing get-togethers where prescription drugs are exchanged and randomly ingested) which when combined with alcohol and the predictable use of marijuana or other substances that impact cognitive and motor abilities, – the results can be tragic. If you have questions about Colorado DUID cases in the Denver metropolitan area and throughout Colorado, attorney H. Michael Steinberg will be pleased to answer those questions and to provides quality legal representation to those charged in Colorado adult and juvenile criminal matters. 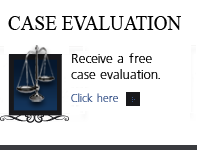 In the Denver metropolitan area and throughout Colorado, attorney H. Michael Steinberg provides quality legal representation to those charged in Colorado adult and juvenile criminal matters… as regards Colorado DUID cases.